After spending another month with the Ciaz, I must admit that it's difficult to not fall in love with the car. The drive is exceptionally smooth, the engine is extremely refined and efficient, and overall, the car is a tremendously relaxing place to travel in. On average, with a full 43-litre tank of fuel, I am able to drive around 590 – 610 kilometres in mixed conditions. But the tank-to-tank calculations revealed that it can deliver 15 – 16km/l if you’re careful. However, to be able to achieve that efficiency, you've to make some compromises. For instance, the car has to be light, meaning that sound deadening panels, which are used to dampen ambient noises, can't be in abundance. So, if you are stuck in traffic, the honking of other cars around you can get annoying. 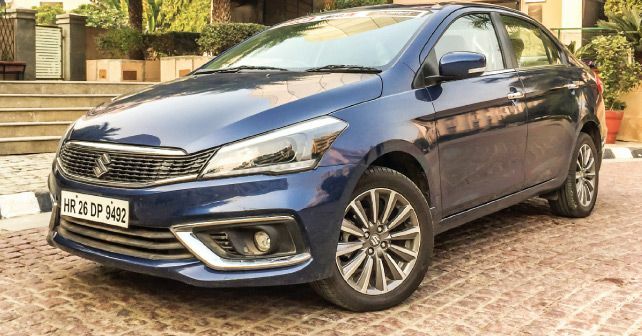 Another small niggle that I noticed lately is the Ciaz's weak LED projector headlamps. They could definitely do with a better spread of illumination. In foggy conditions, the white light disperses into the white mist, and it gets difficult to drive, especially at night. And while a bit of ambient sound and headlight issues can be annoying, there are way too many benefits of the Ciaz that outweigh the cons. For example, the top-end spec that I’m driving costs only ₹ 9.90 lakh (ex-showroom), and the amount of kit it offers is simply the best in its segment by quite some margin.